BIZZYbutFIT.com is a unique fitness motivation platform which is dedicated to passionately promote the fitness for all age groups. BIZZYbutFIT was started in March 2016. BIZZYbutFIT believes, every person cannot be a professional bodybuilder or a fitness model but every person can be a motivation for each other in this world. We are here to give you all the MOTIVATION, KNOWLEDGE, HACKS on how to fit workout in your busy schedule.Before stating what Bizzybutfit is, we would like to THANK YOU for visiting our website. Before stating what Bizzybutfit is, we would like to THANK YOU for visiting our website. Everybody cannot invest 2-3 hours daily in the gym or for the jog. People all around the globe can idolize the famous bodybuilders but it is not easy for everyone to be like them. 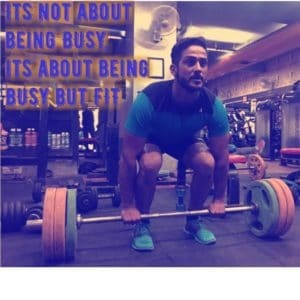 At BIZZYbutFIT.com our job would be to share the stories of as many people as we can who irrespective of their busy schedule take some time to workout and also MOTIVATE you to be busy but fit. These people would be the mentors for all the people because these are the people with whom most of us can relate ourselves. These people would be the mentors for all the people because these are the people with whom most of us can relate ourselves. Bizzybutfit.com is a platform which gives an opportunity to all the users to sign up ,make their profiles and post the exercise routines, diets, etc. and share that with rest of the busy world to make them fit. All of us cannot afford a personal trainer or a dietician but we can surely motivate others to skip all the busy EXECUSES and follow all BIZZYbutFIT members, who knows that all of us are bringing a major change in someone else’s life. BIZZYbutFIT.com works closely with all the individuals to make a network of partners involved in any form of workout/exercises/aerobics/games etc. to share the tailored BIZZY exercise, BIZZY diets which can be followed easily. At BIZZYbutFIT.com, we have a singular passion – to tell the world that busy should never be an excuse ! We’re continuously working towards bettering the platform and we’d love to hear from our wonderful community of readers about your thoughts and views on how we can provide more value. Please feel free to write to us at queries@bizzybutfit.com & admin@bizzybutit.com for any feedback or queries.